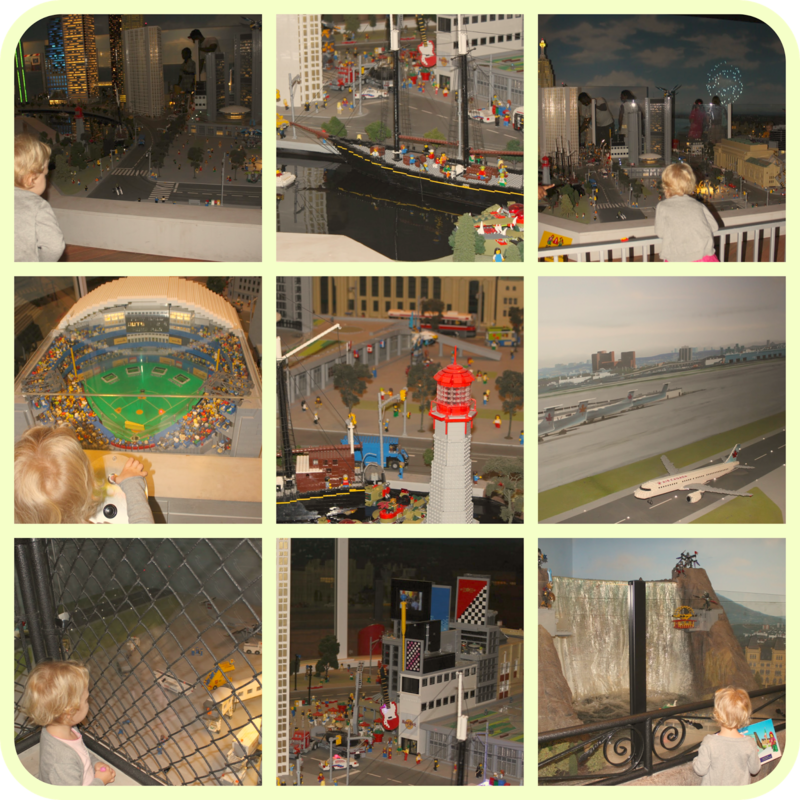 The night before we were scheduled to go to LEGOLAND, I was so excited it was hard to fall asleep. Don’t laugh…I am like a kid in an adult body, young at heart I guess you could say! My cousin, visiting from out of town was here the day we went and she too was just as excited! When we pulled up in the parking lot at Vaughan Mills we both looked at each other, overjoyed and giddy! I turned around to look at the kids and of course…they were both K.O (knocked out). So typical! I VERY quietly opened the trunk, assembled our stroller, lifted the little munchkins out of the car, ever so gently putting them in the stroller…magic! they were both still asleep! Guess what that meant? Coffee and quiet time with my #1 cuz! We walked to the other side of the mall ready to queue up at Starbucks. Guess who woke up? Ruby! 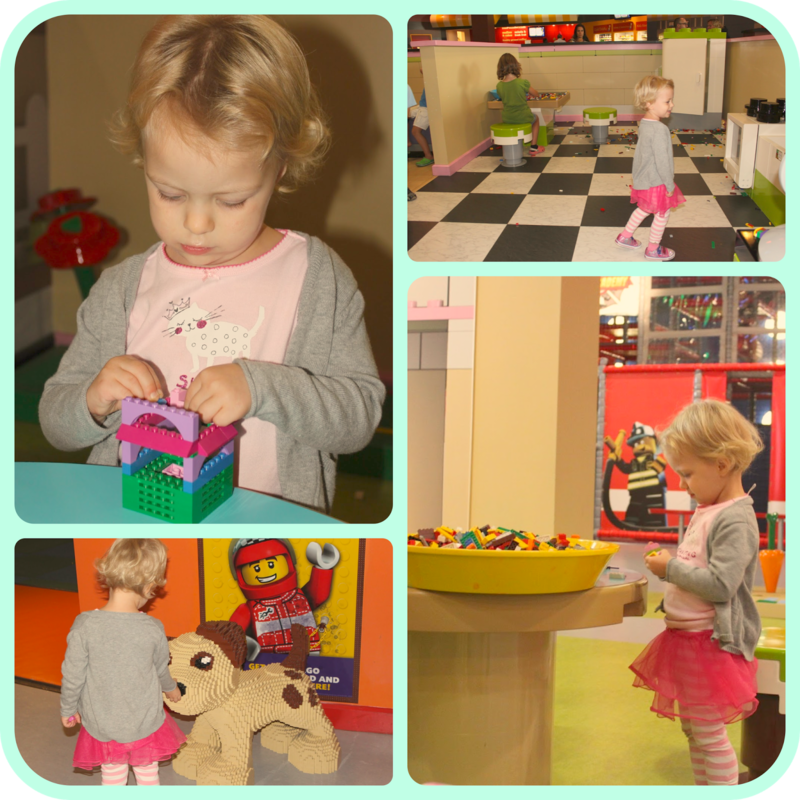 She was curios and groggy…I had just enough time to slurp down my coffee and jet back to LEGOLAND before triggering a meltdown! We entered through the gift shop area of the venue, and ALL of eyes could not help but wander around the shop while waiting for our tickets. EVERYTHING, literally everything was made out of LEGO! The cashiers all had LEGO badges, the registers were adorned in LEGO pieces, LEGO, LEGO everywhere! It was great! 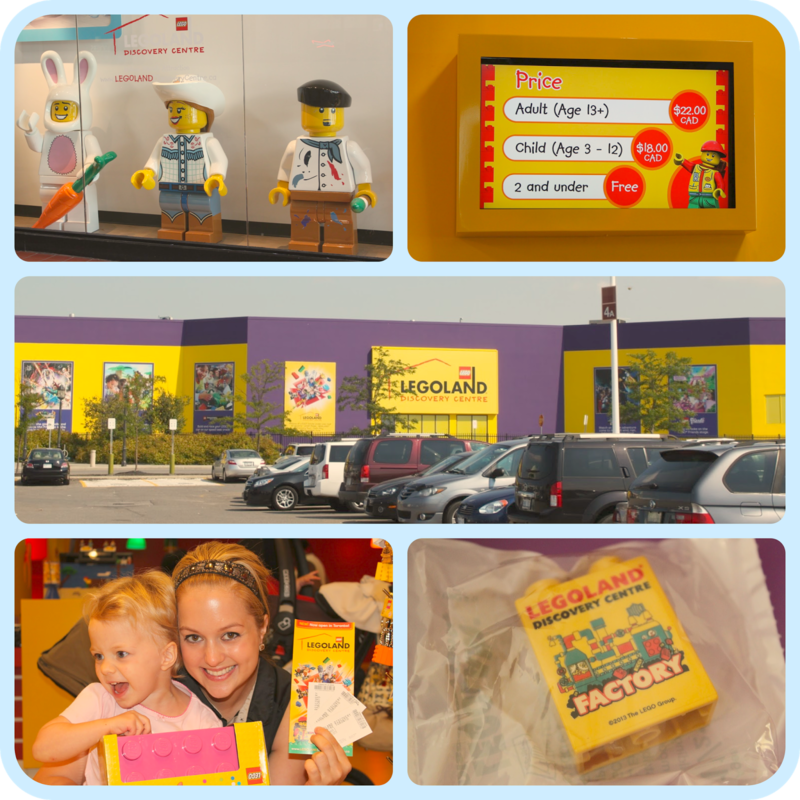 Once we had our tickets in hand we entered into a real land of LEGO! 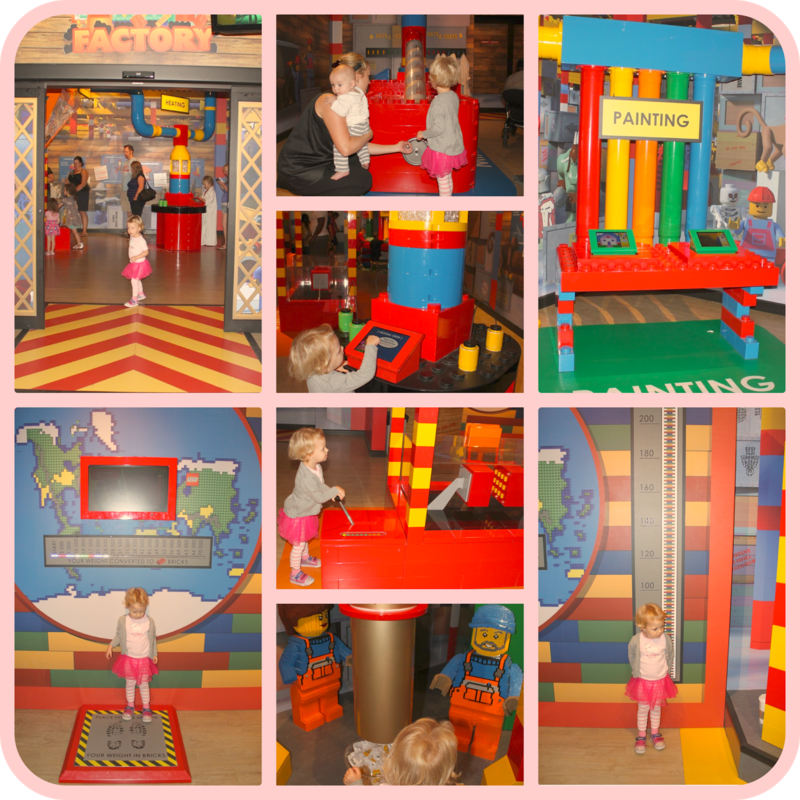 The first part was called LEGO Factory Tour, where we were shown how LEGO is made. That was really fun and hands on! Melting, pressing, painting! They even had a scale to weigh yourself in LEGO pieces! Along with a height chart in LEGO! No I did not weigh myself! What post prego mamma wants to step on the scale? As a keepsake they had a giant bowl of LEGO with “LEGOLAND Discovery Centre” on them. How nice is that? 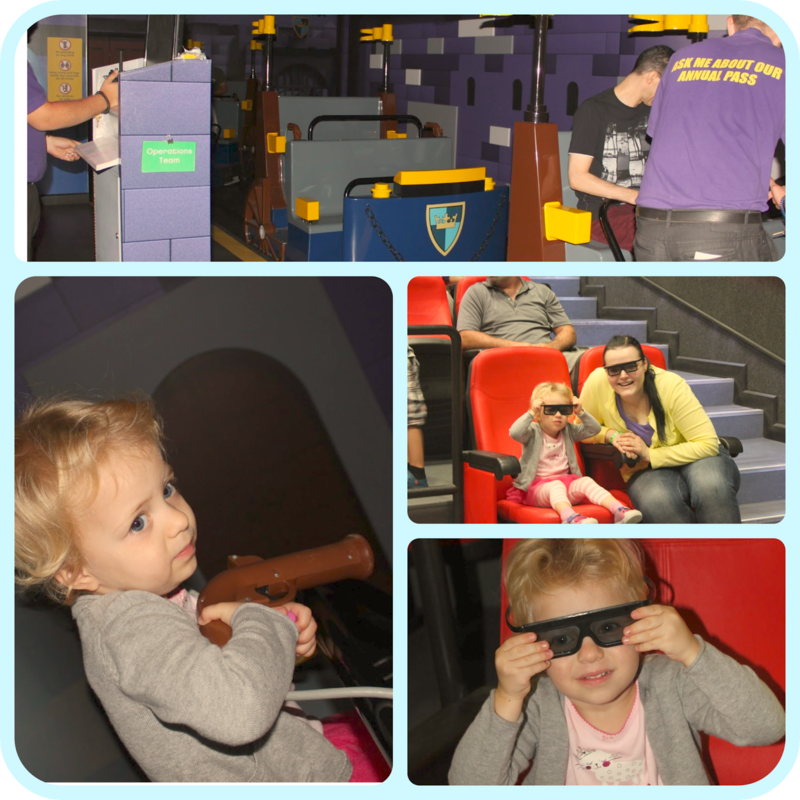 We then moved on to the Kingdom Quest Laser Ride. Ruby went crazy over the ride! We sat in little train cars, each had access to toy guns and our mission was to save the princess! The ride lasted a few minutes. We were pushed around through a dark scenic path where we had to shoot and zap spiders and other creepy crawlies! My cousin was kind enough to wait with the baby at the designated stroller area while I enjoyed some entertainment with my little girl. From the train ride was MINILAND. Probably my favourite part of the whole discovery centre! It was beyond fascinating! All of the famous buildings in Toronto were made into LEGO! EVEN Toronto Pearson Airport AND Niagara Falls! Nearly 1.5 million LEGO bricks! Parts of the structures even moved, like the baseball game, hockey stadium and a construction worker on the street! The prettiest part was when the skyline changed to evening time. The streets and buildings lit up with a fireworks show displayed on the wall! Once we oohed and awwed at the city, we then went into heaven on earth for kids of all ages (even my cousin and I)! Where to start…there was excitement buzzing all over! To the right was a 4D cinema, on the left we had LEGO racers where mainly boys were building race cars and testing them on a huge ramp! 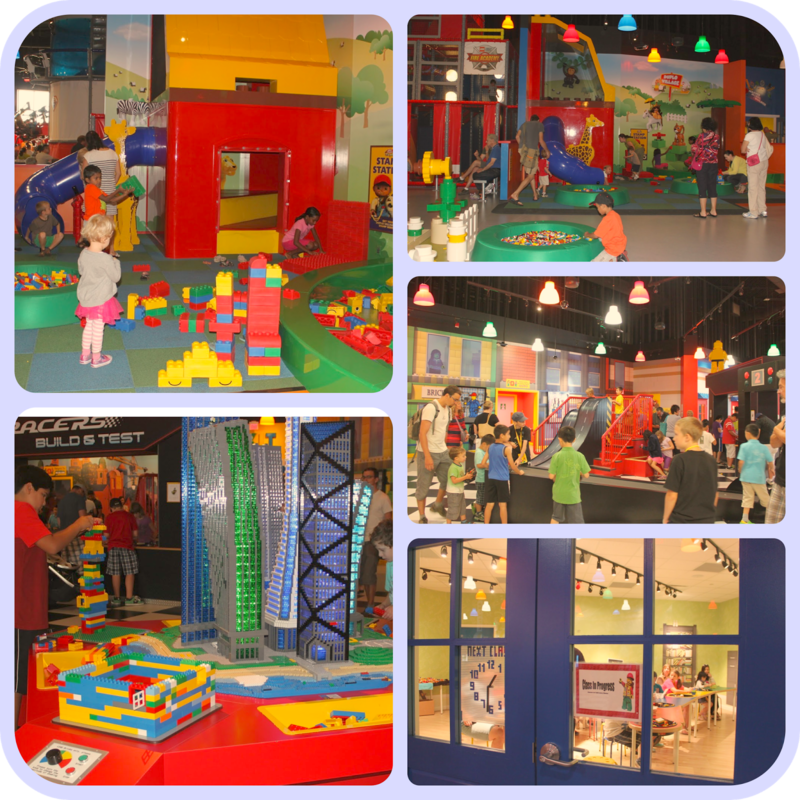 There was a LEGO Master Builder Academy, earthquake tables, DUPLO village, LEGO friends, a construction site, fire academy, and birthday rooms! Ruby and I even went on a ride called Merlin’s Apprentice! What a GREAT afternoon we had! 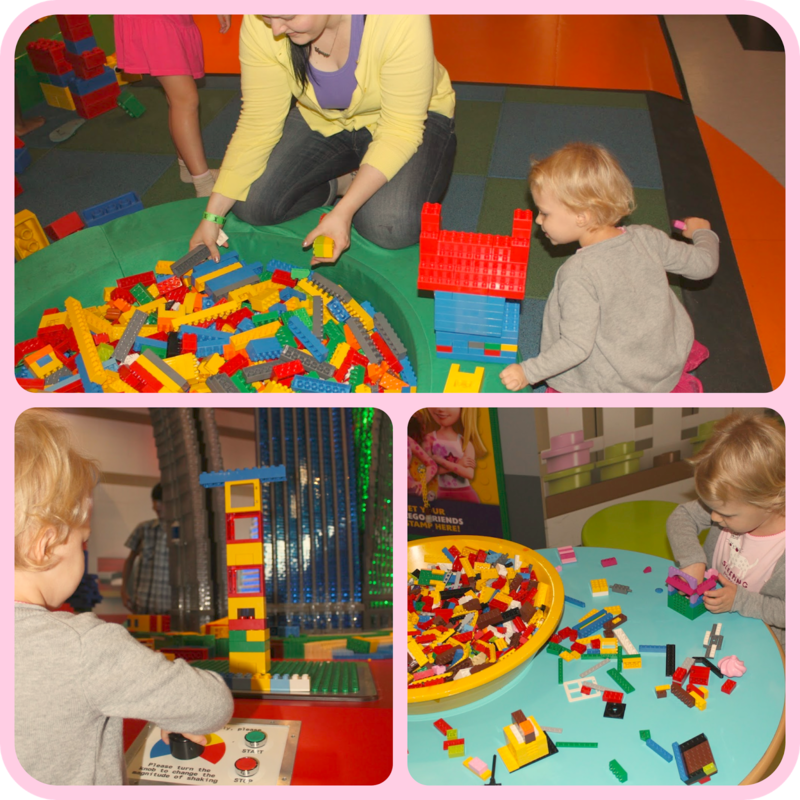 We spent over 3 hours, and could have managed to spend the whole day playing with all things LEGO! We had lunch in the cafe before heading home. 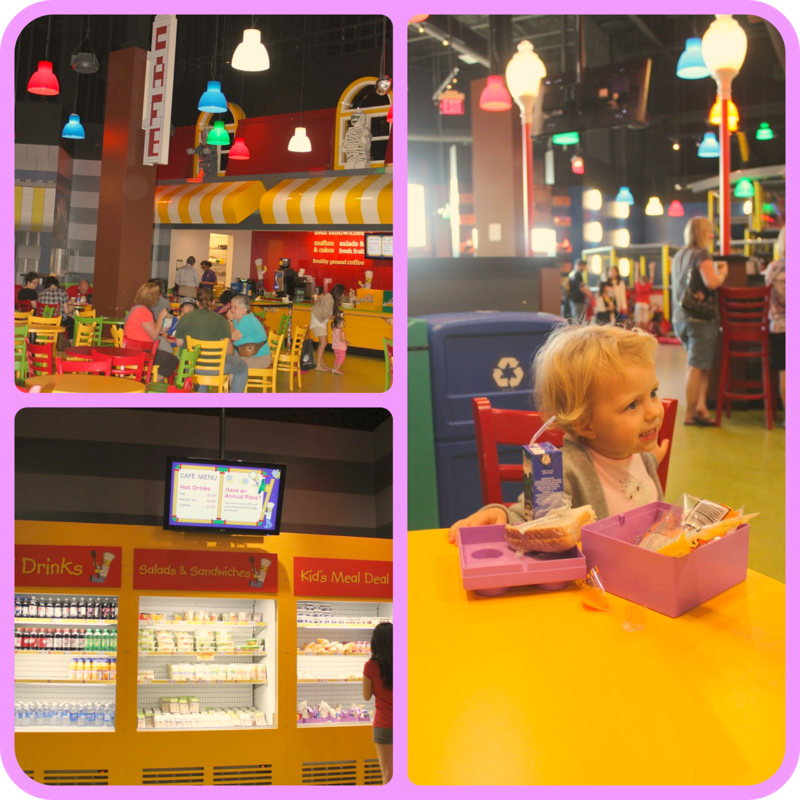 Ruby had a kiddies lunch that came inside the cutest LEGO lunchbox. I can only imagine that it will the be envy of her brother when he is older! Which means…we will be back 100% the next time we are in town, and the years following that until little Nate is Ruby’s age:) We may as well buy a seasons pass haha! My ONLY little itty bitty suggestion from the WHOLE facility, is the lunch selection. I wish they had a bit better/fresher variety for the kids. That’s all! Which is pretty darn good, because you know how picky I am! BIG thumbs up from this Mommy to you! 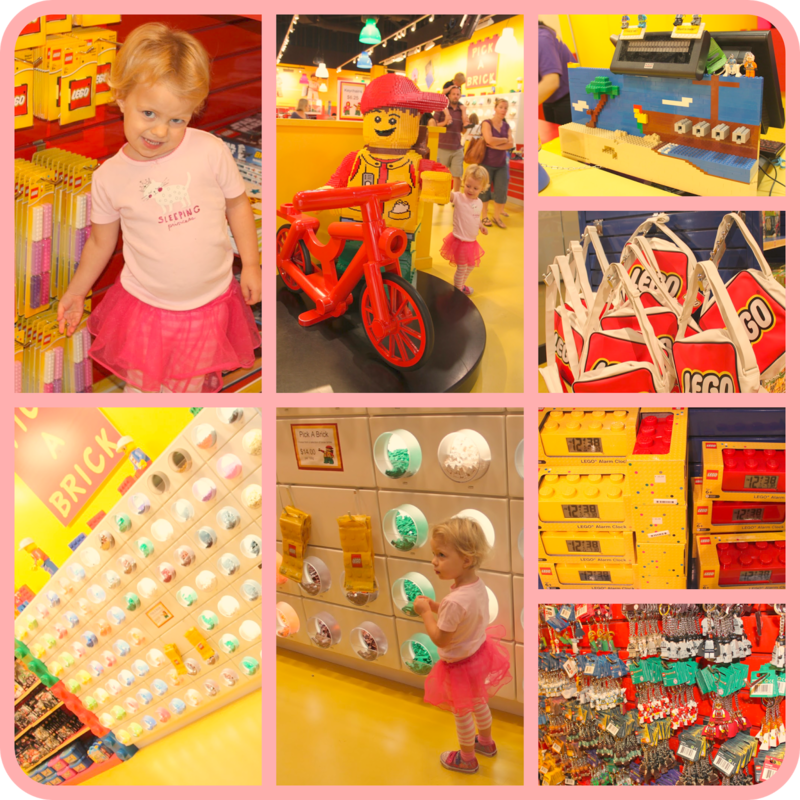 Your kids will thank you a million times over after taking them to LEGOLAND that’s for sure! OH! 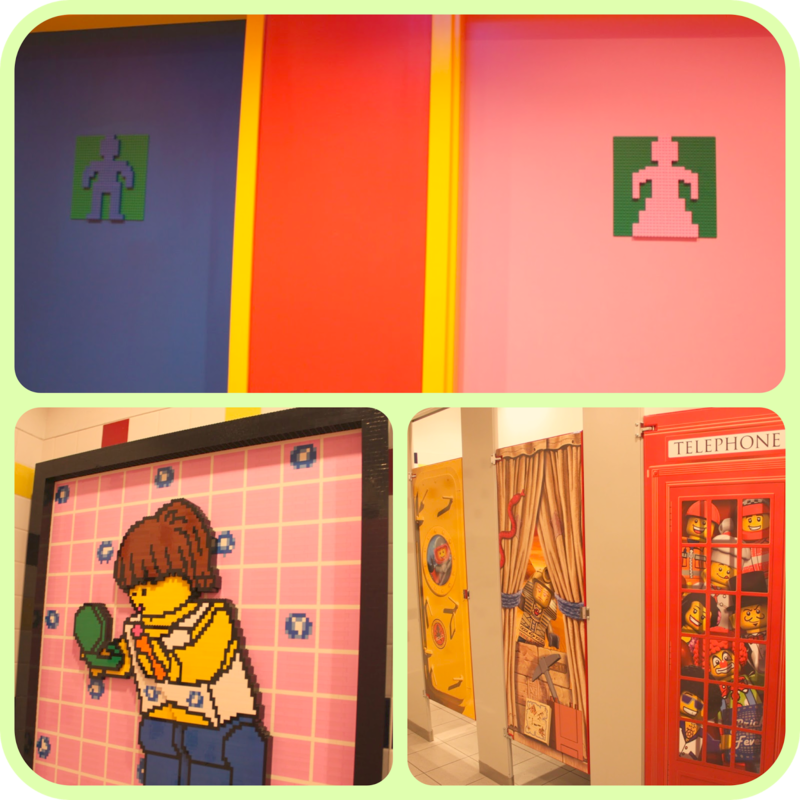 And don’t forget to have a peak inside the washrooms, I couldn’t resist taking a picture of the stalls for you! Yeah, I am crazy like that haha! 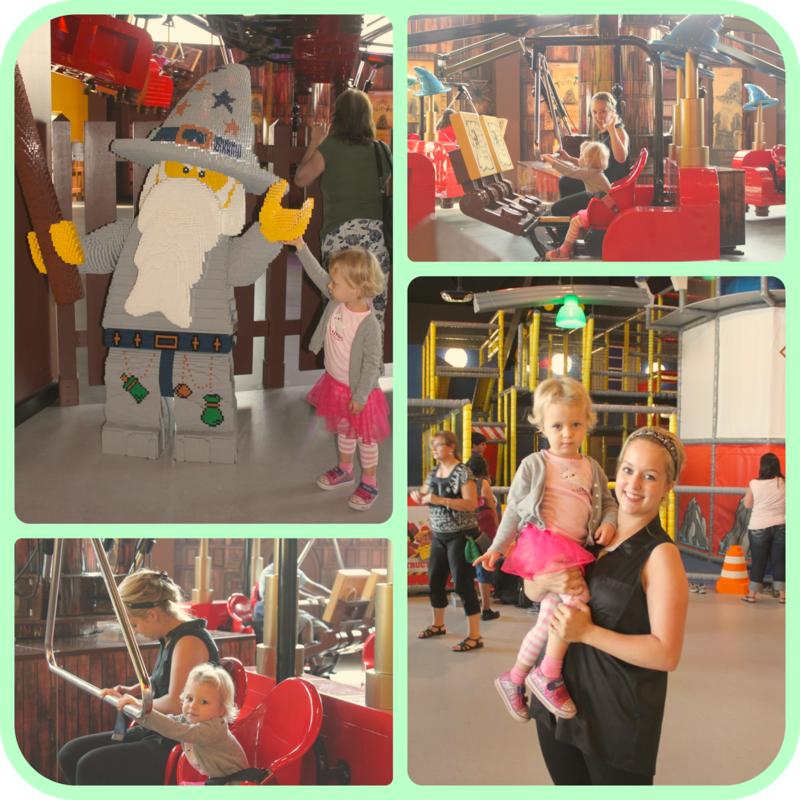 LEGOLAND only permits adults with young children to enter the facilities. However, every so often they do have adult nights, so be sure to check their website out for further details. I also noted that they change their themes every few months which is really nice if you own a seasonal pass! Keeping things fresh and exciting for our youngsters! 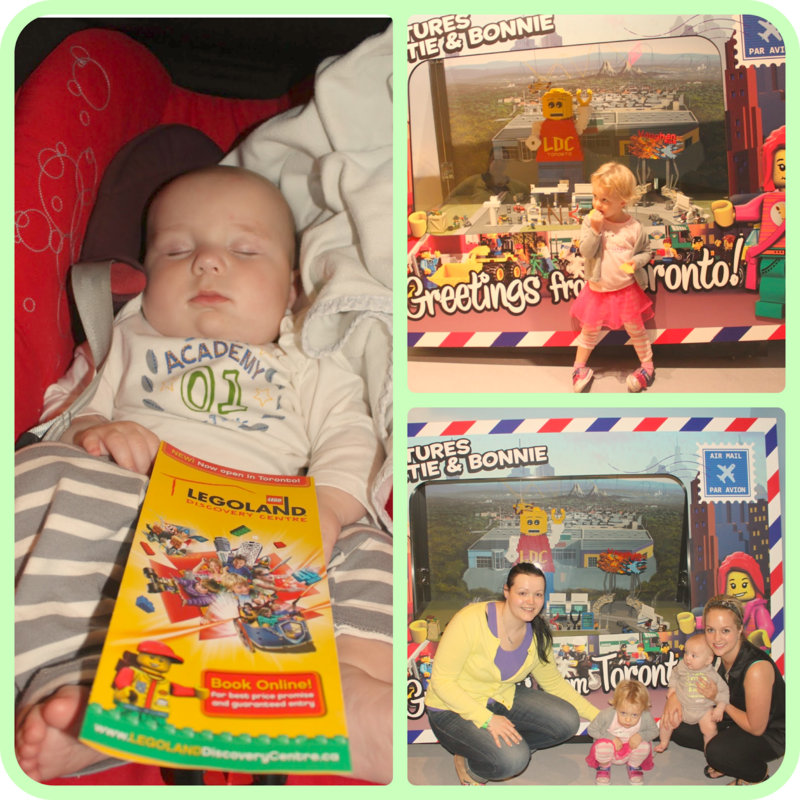 Building & Playing With LEGO!